MegaChem reported a strong set of results for 2H17. Although group revenue for the full year grew by only 8.4% to S$108.1m in 2017, growth picked up in 2H17 with revenue expanding by 10.3% sequentially (or 17.0% year-on-year). Growth was also broad based, as most markets reported higher revenue in 2H17 than in 1H17. The ASEAN market which accounted for 67% of revenue grew by 7.7% in 2H17. The strong momentum is reassuring and suggests of a positive outlook for 2018. Oil & gas industry stabilized. Across industries, the oil & gas sector recovered strongly from a low base, with revenue growing by 30% from about S$5m to S$6.5m. Surface technology revenue grew by 17.8% or S$4.1m to S$27.0m in 2017. Other industries such as biotech and lifestyle also grew strongly, by 8.4% in 2017. In particular, the lifestyle industry is a potential area for future growth given its low base of only S$2.2m in 2017. Maintains high gross margin with focused strategy. After achieving gross margin of 25.3% in 2016, gross margin weakened to 24.2% in 1H17 and has since rebounded to 25.0% in 2H17. MegaChem’s full year gross margin of 24.6% is still higher than the Asia-Pacific gross margin of industry leaders Brenntag and IMCD by 3.9% and 7.6% points respectively. Univar does not report on its Asia-Pacific business and lumps it under the “Rest of World” segment. Even so, MegaChem’s gross margin is higher than that of Univar’s Rest of World segment by 4.4% points. 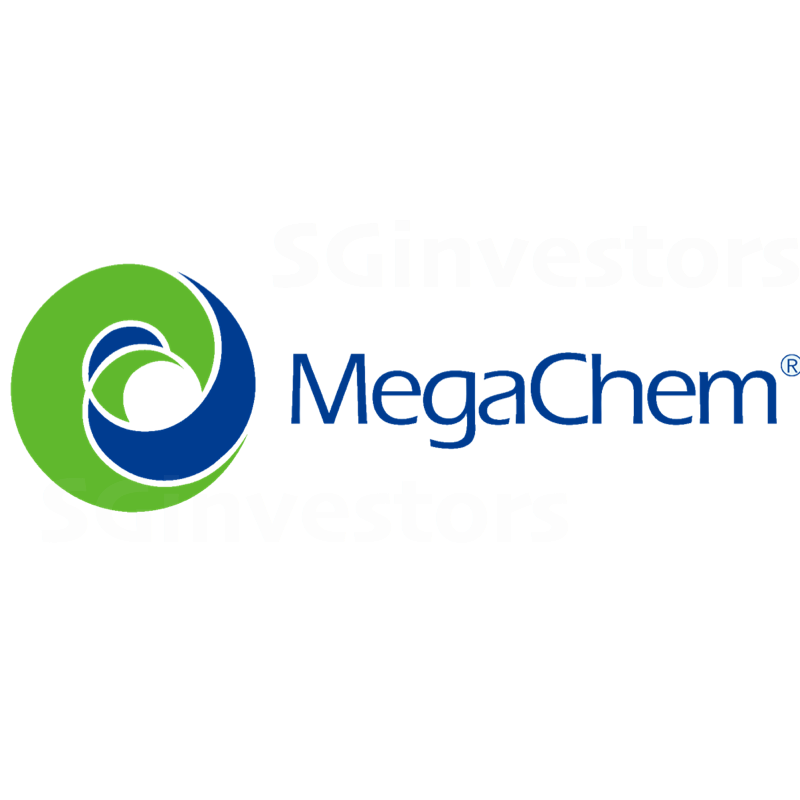 Such premium pricing can be attributed to MegaChem’s focus on selling high margin specialty chemicals with less bulk or commodity chemical sales. Rising costs and competition present risks. Our key concern is if costs will increase following higher oil prices lately. MegaChem probably can pass on some of these costs to clients, but gross margin may still be affected. Its gross margin was as low as 20.2% and 22.9% in 2014 and 2015. Secondly, larger competitors are eyeing the Asia-Pacific market where Brenntag and Univar have made recent moves to expand their presences. Univar for instance sees opportunity in selling more specialty chemicals. Projecting higher growth and more modest margins. In this update, we raised estimated revenue growth to 7%/year across the updated horizon of 2018 to 2022. This raised FY18F PATMI from S$3.9m to S$4.6m, even though we reduced gross margin assumptions to 24% in 2018 – 2019 and to 23% in 2020 – 2022. Hence, we expect PATMI growth of 26% over the adjusted PATMI of S$3.6m for 2017, which excludes the one-off gain from the listing of MegaChem’s Thai associate and about S$1.2m of non- recurring impairment of trade receivables from Venezuela. Our updated valuation values MegaChem at S$67.9m or at about 14.7x FY18F PATMI. In this update, we review MegaChem’s performance and provided observations about some industry trends. Overall, we are optimistic about MegaChem’s performance in view of the momentum demonstrated, especially during 2H 2017. While risks remain and despite the threat from competitors, we reckon that MegaChem’s strategy of focusing on specialty chemicals and its key markets and providing value-added services will defend margins and drive growth. One limitation of our analysis is that we have limited our review to the global top three distributors. The review of several Asian peers would have made our analysis more comprehensive. Our updated valuation shows that there is significant upside of about 32.5% from current market prices. However, the realization of such upside is conditional upon other factors such as the achievement of projected growth. On balance, we decided not to rate MegaChem due to factors such as the low trading liquidity of its shares. We noted that MegaChem is celebrating its 30th Anniversary in 2018. A potential initiative for shareholders could be the issue of bonus shares to generate more liquidity.